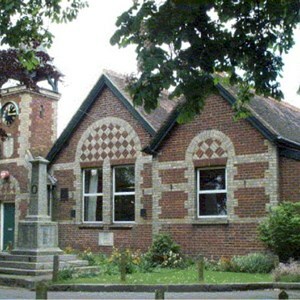 The Institute is a property that was gifted to the parish by the trustees of John Francis Austen late of Capel Manor in November 1891 for purpose as a War Memorial and for the use for the benefit of the inhabitants of the parish of Horsmonden. 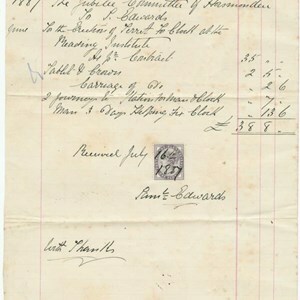 It was originally built as a Workingmen’s Reading Room and Institute by J. F. Austen Esq. 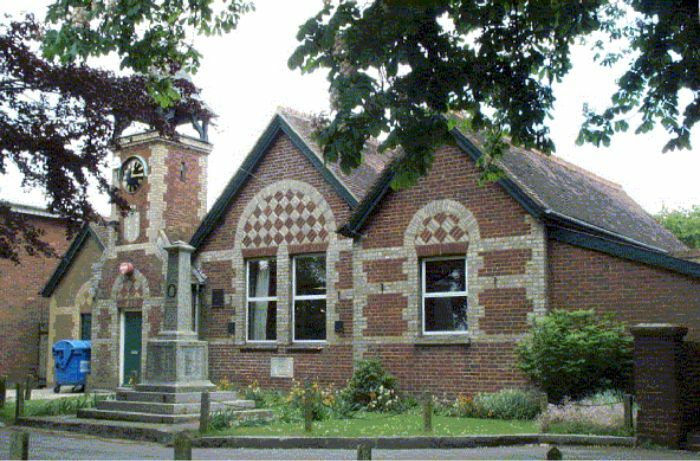 A Turret and Clock were added in 1887 by public subscription to commemorate Queen Victoria’s Golden Jubilee, and presented to the Village. 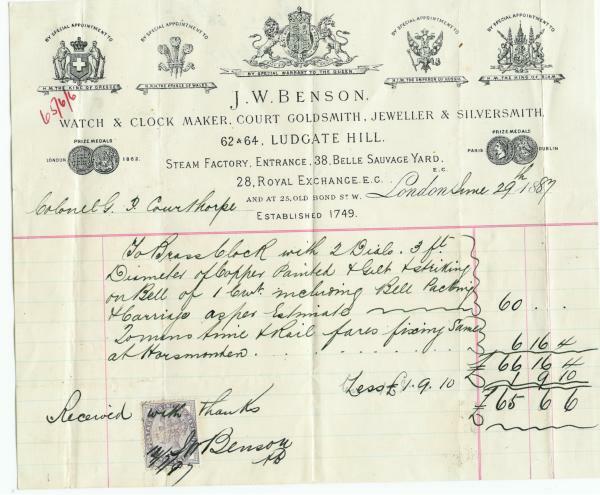 The cost of the Clock supplied by J. W. Benson of London was £65.6.6. and this original clock is still in working order. 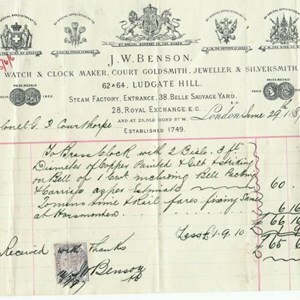 On 4th December 1895 It was agreed that the Clock Turret be in the possession of and under the management of the Council. 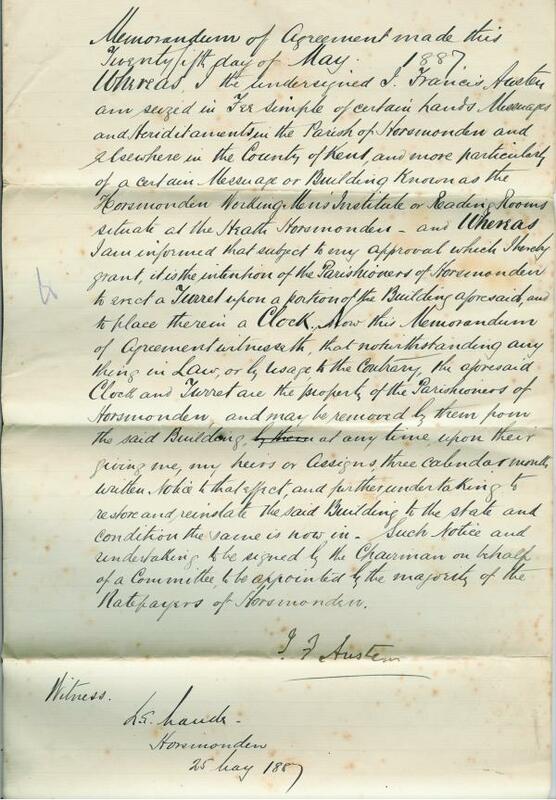 17th September 1919: Proposed that the Parish council be Trustees of the Institute the gift of Austen Trustees. 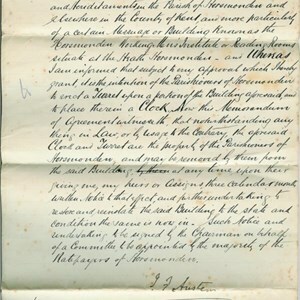 28th January 1920: The deeds of the Institute were received by the Parish Council and Mr Morley was deputed on behalf to carry out the necessary requirements as to ownership and Insurance of the property. 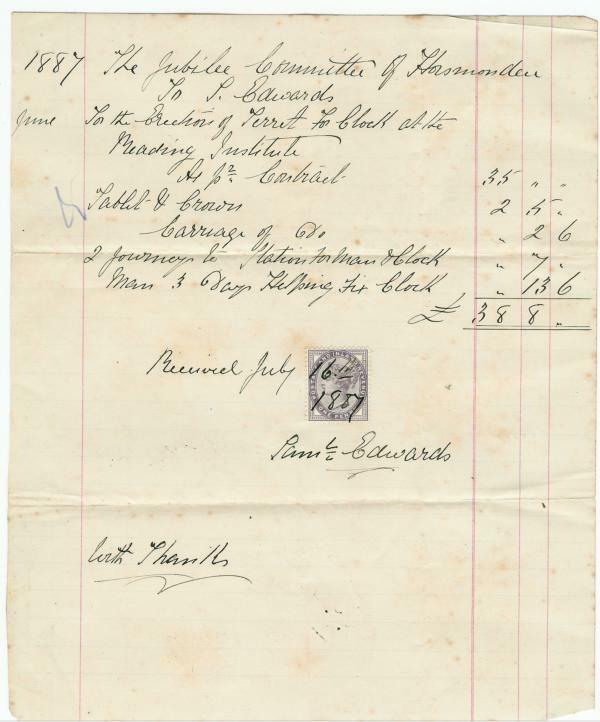 15th April 1920: That the Horsmonden Club take over the full responsibility for water, taxes, repairs and any other incidental expenses which will be incurred.